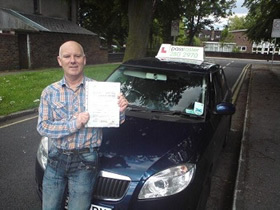 Passfaster have been offering driving lessons in Liverpool, for over 15 years, and have a proven track record in supplying quality lessons throughout the city. We will make learning to drive as easy and as fun as possible, and will make you feel confident behind the wheel. As a family run school we have over 15 years' of experience in this profession, and can offer you a first class service with excellent value for money. See our testimonials page. You can take your driving lessons in manual or automatic cars with male or female driving instructors. We can provide you with the whole service from beginning to end, free online theory tuition, theory, practical booking services and fastpass courses. You can pay for your lessons online, over the phone, or you can just pay the instructor on each lesson. 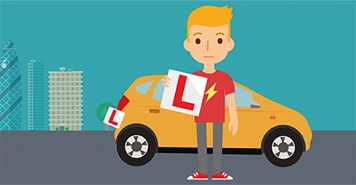 We will make learning to drive as simple as possible and will do everything we can to ensure you pass your driving test 1st time! A manual transmission vehicle is a more complicated car to learn to drive in compared to an automatic car. Unlike an automatic vehicle a manual vehicle requires the driver to constantly change gear and get a ‘feel’ for the car and engine noice. Whilst it is more complicated to learn in a manual car, most people prefer to do so because once you have passed your driving test in a manual car, you are able to drive both manual and automatic cars in the future. People who take and pass their test in an automatic car are only allowed to drive automatic cars. The added freedom and versatility often out weighs any initial issues that you may have learning to drive in a manual car. We offer a wide range of lesson options which allows you to choose which instructor you would like and type of car. You can also choose to pay for your lessons individually or block book 5, 10, 20 or 30 hours' worth of lessons. Take a look at our Buy Online page for further details about pricing and options. 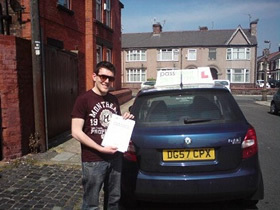 "100% money back satisfaction GUARANTEE on all driving lessons Liverpool"
We offer a wide range of lessons to ensure you get exactly the training that you need. Whether you are looking for automatic driving lessons in Liverpool or you would prefer a female driving instructor, we can help. Our driving instructors are here to help and provide you with all of the advice, training and help that they can. If you have any questions, please get in touch. Our friendly and helpful team will be able to answer all of your questions and get your first lesson booked as soon as possible. You can now book your lessons online using our easy to use site. Just go to the Buy Online page and you will be able to select from our wide range of driving courses, all with up-to-date pricing and discounts for bulk bookings. 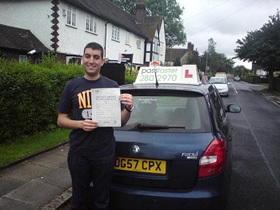 You can choose individual lessons, Fast Pass courses or you can even pay for your theory or practical driving tests. Our Book Online feature is a great way to buy a present for someone who is looking to start driving very soon. We have a full list of our driving instructors on our site covering north and south Liverpool. Each instructor's page gives details about them, the areas they cover, their car, their qualifications and testimonials from their previous students. Depending on your preferences, you may decide to select your instructor based on their car or to make things easier for you, let us pick who we think will be the most suitable instructor for you. Previous visitors to our site may have noticed that our team of instructors does not change very much and this is something that we are very proud of. We work closely as a team and help each other when we can which has resulted in us creating a happy and dedicated team of driving instructors. If you would like to learn to drive, we understand that you may have lots of questions or something that you're not quite sure of. That's why we are more than happy to help. Just give us a call on 0151 280 2970 to talk to us and we'll be able to answer any questions and settle your nerves. If you have searched for driving lessons Liverpool and come across Passfaster that's partly because of all of the positive reviews that we've had on our site, on our Facebook page and elsewhere. 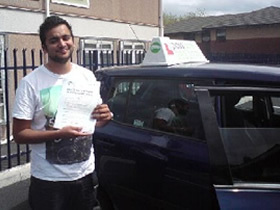 We have been offering driving lessons since 1995 and have helped hundreds of people pass their test. With over 40 qualified instructors, we are lucky in that we are able to match you with exactly the car and instructor that suits you. You can contact our team six days a week to book lessons or simply enquire, if there's someone in your family who would like to start lessons in the next few weeks. "Best Investment I ever made, especially choosing PassFaster!!! My instructor, John, is highly recommended!!! Thanks for making this easier than I ever could have expected :)"